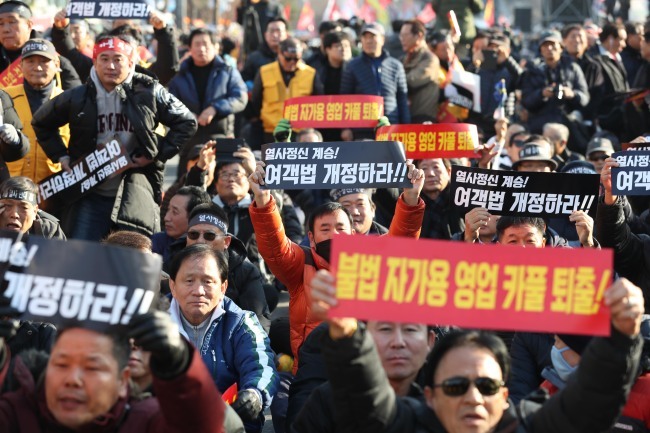 South Korea saw one of the largest protests staged by taxi drivers in its history on Thursday as tens of thousands of protestors took to the streets of Seoul to oppose Kakao’s carpooling service. The protest dominated headlines here after causing traffic congestion and highlighting the impact of carpooling services on the industry, which many protestors said are a threat to their job security. Despite heavy media coverage, the pro-taxi movement appears to have backfired on Twitter, as users on the social media platform began sharing their worst experience with taxi rides following Thursday’s protest. Using angry emojis, one user who tried “not to gloat over the situation” had some harsh words for taxi drivers. MBC football commentator Seo Hyung-wook compared taxi rides in South Korea to Uber. One user sounded surprised to learn that shared rides have been illegal over the past three decades. “Sharing a taxi ride was made illegal in 1982? I have been asked by drivers whether they can take another passenger,” the Twitter user wrote in disbelief. Another user said it would be great to have a “taxi driver who does not talk politics” as an option on Kakao’s taxi app. While many Twitter users appeared to have turned their backs on taxi drivers, some expressed skepticism over carpooling services. The tweet refers to Kakao’s limited screening authority over its drivers. 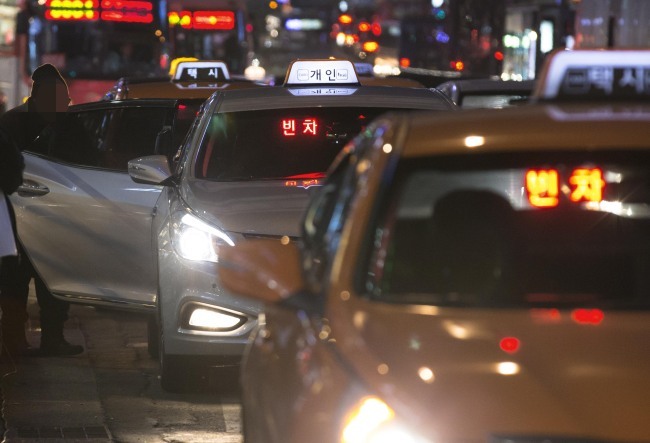 Earlier this month, lawmaker Kim Kyung-jin, a member of an ICT committee of the National Assembly, said that unlike taxi companies, carpooling services have no right to access criminal records, and called for an investigation. This is not the first time the taxi industry has faced criticism from the public. In June, nearly 1,500 people signed an online petition on the presidential office’s website, accusing the “aging” industry of “crushing” young innovators’ efforts to make the world a better place with carpooling services.